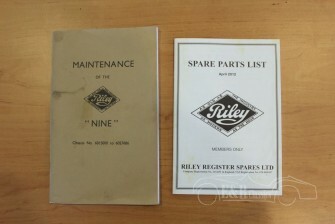 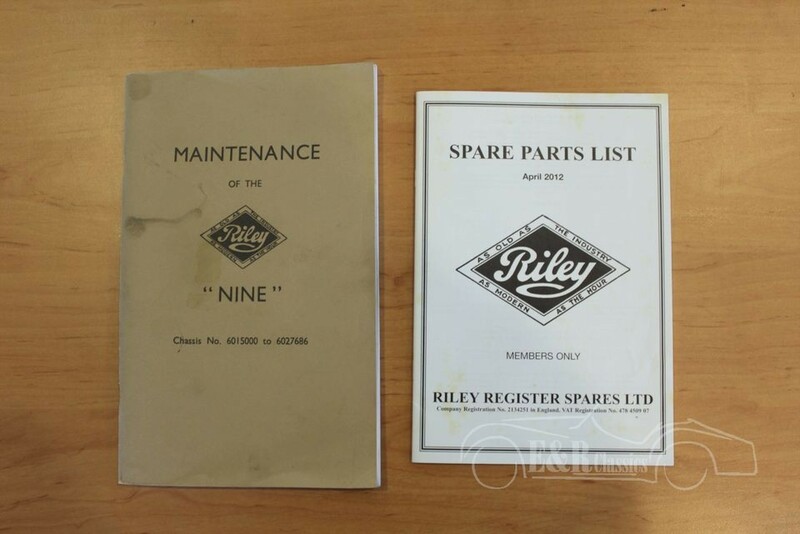 Heeft u een Riley en wilt u graag verkopen? 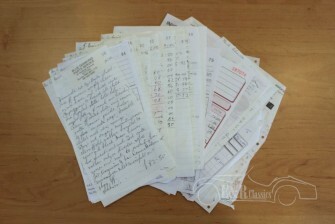 Neem dan contact met ons op. 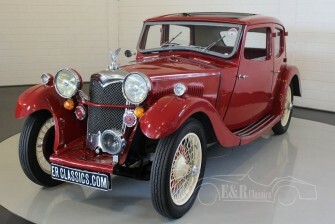 Wij zijn altijd op zoek naar oldtimers voor onze voorraad. 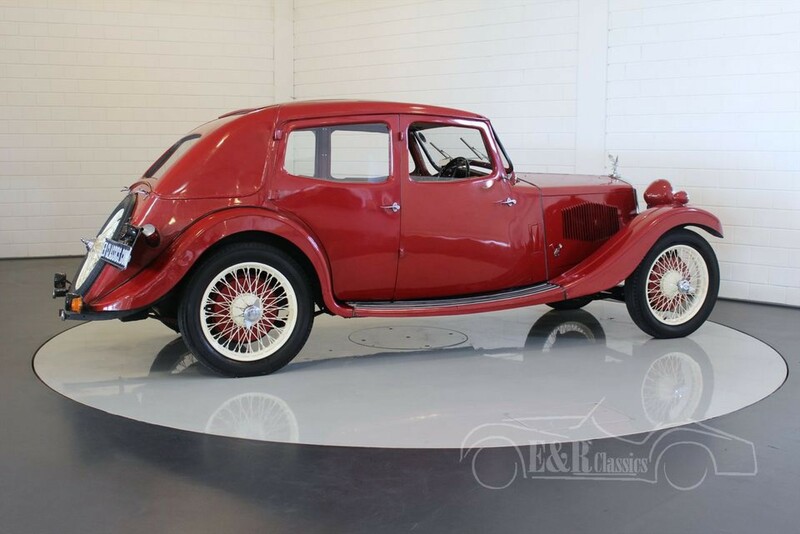 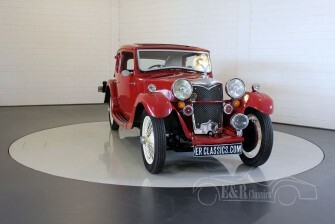 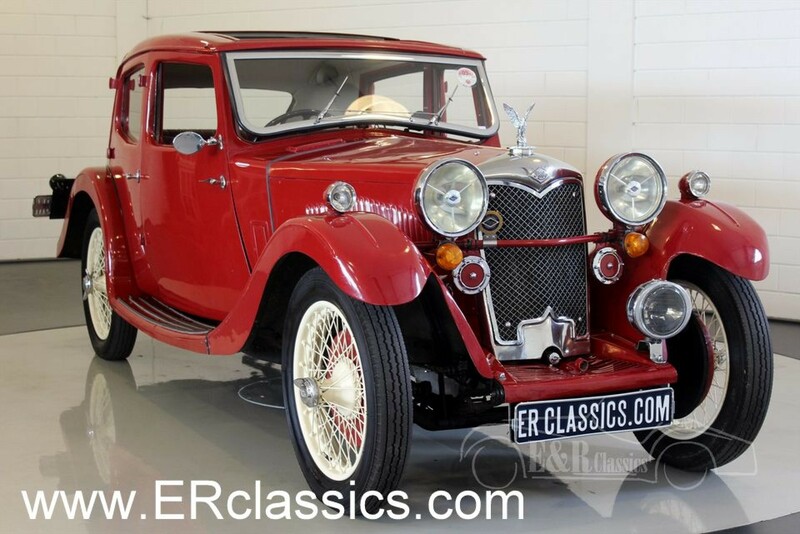 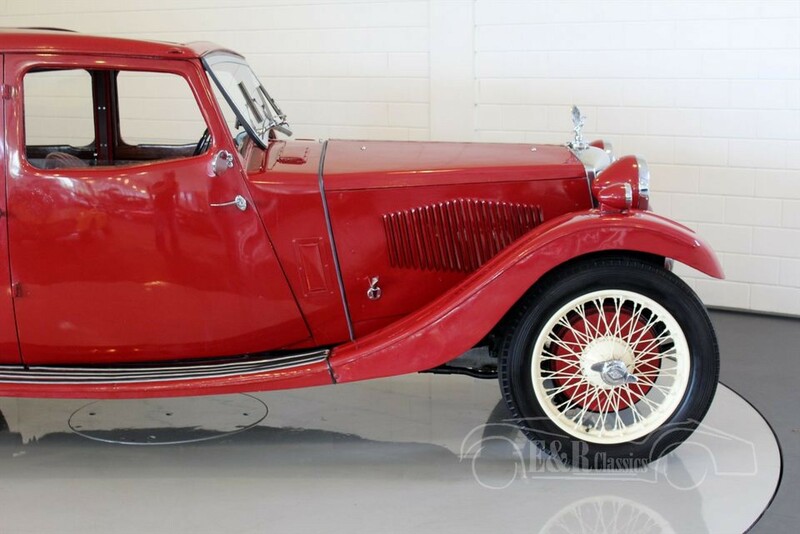 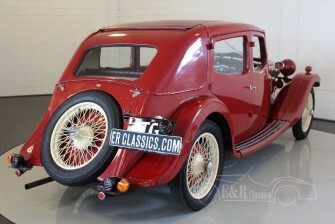 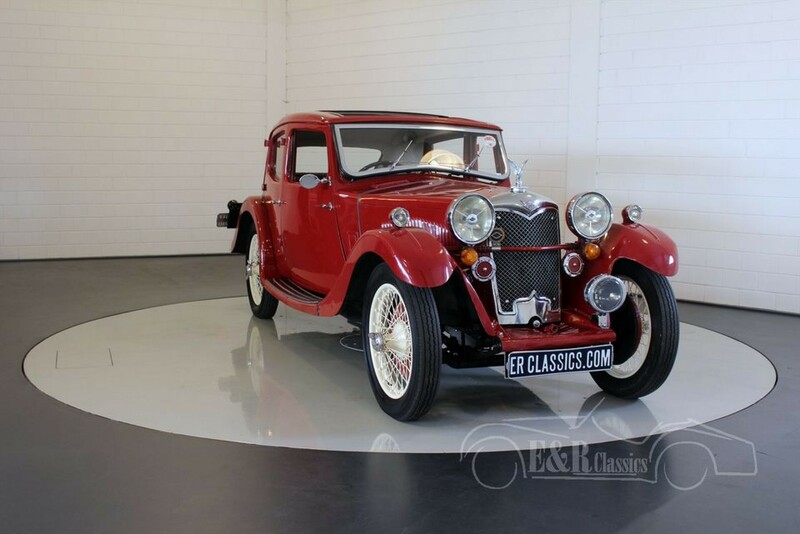 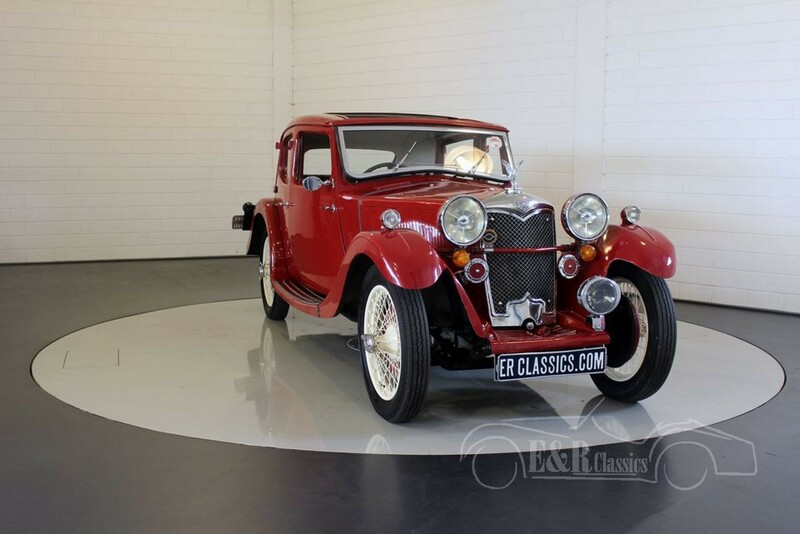 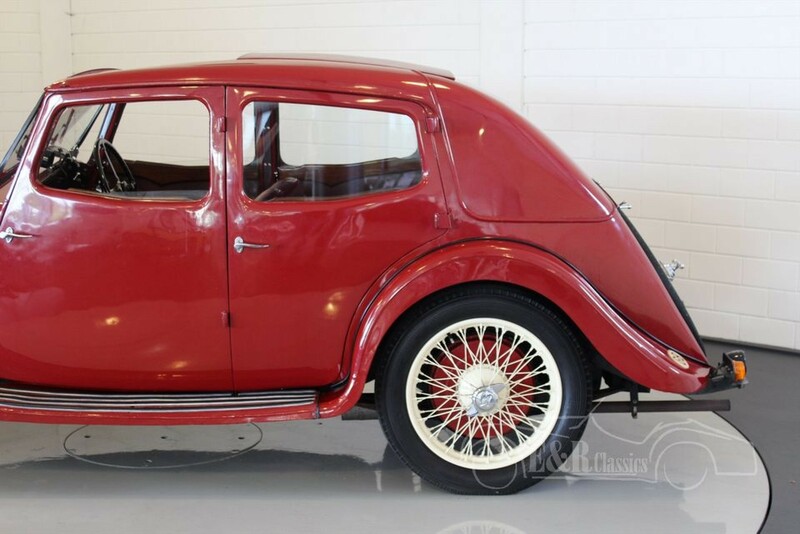 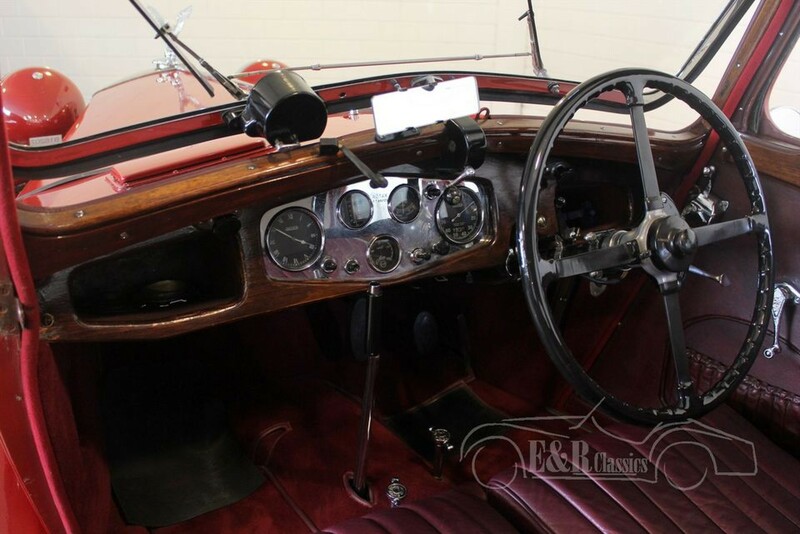 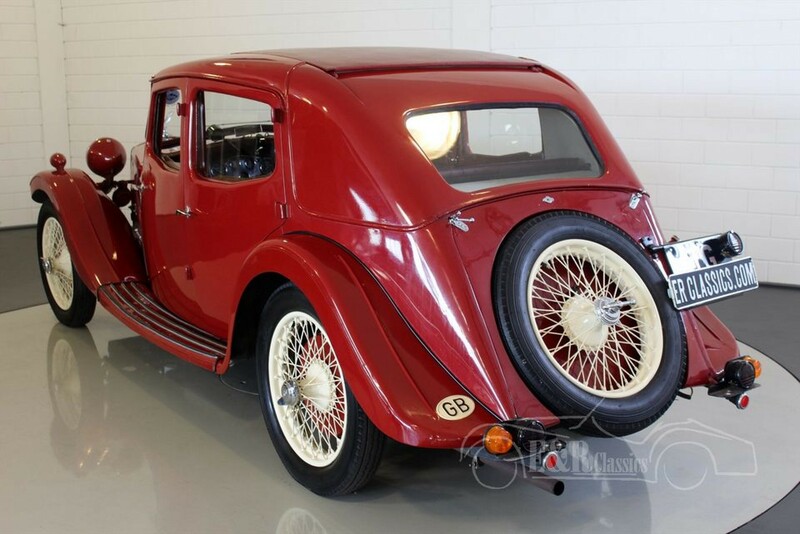 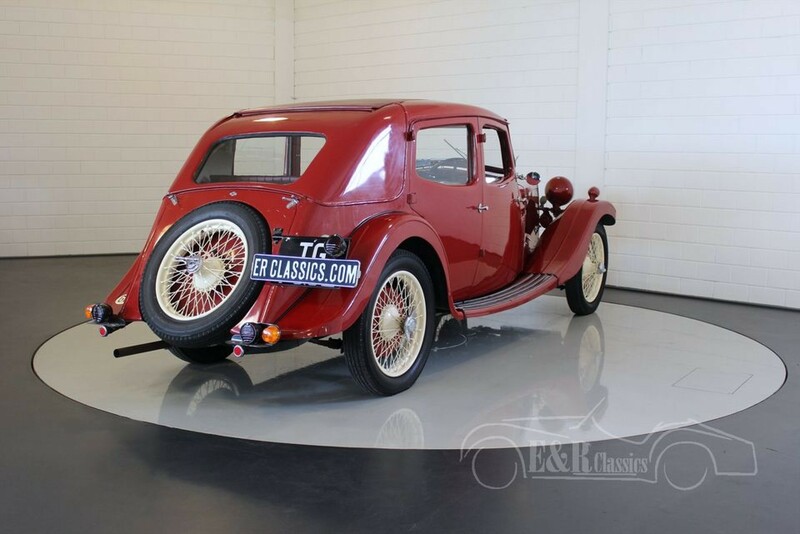 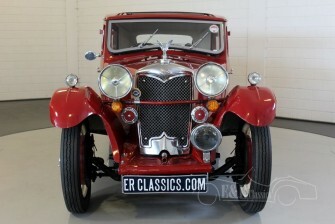 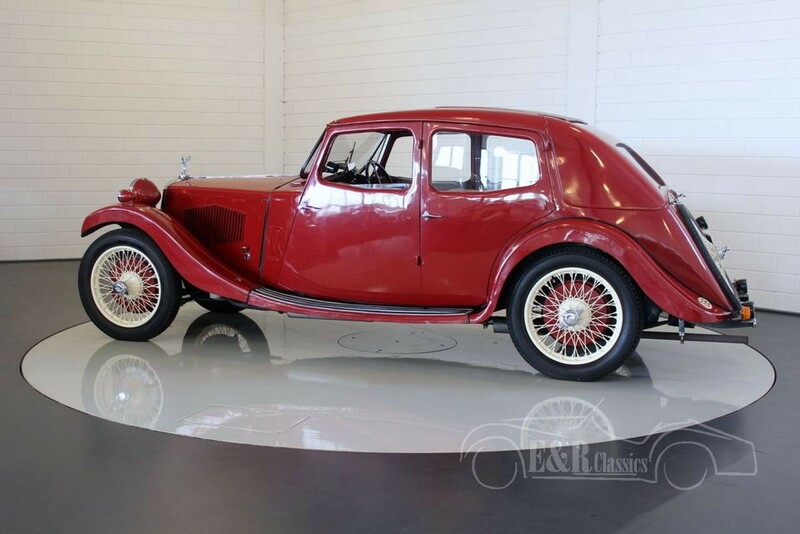 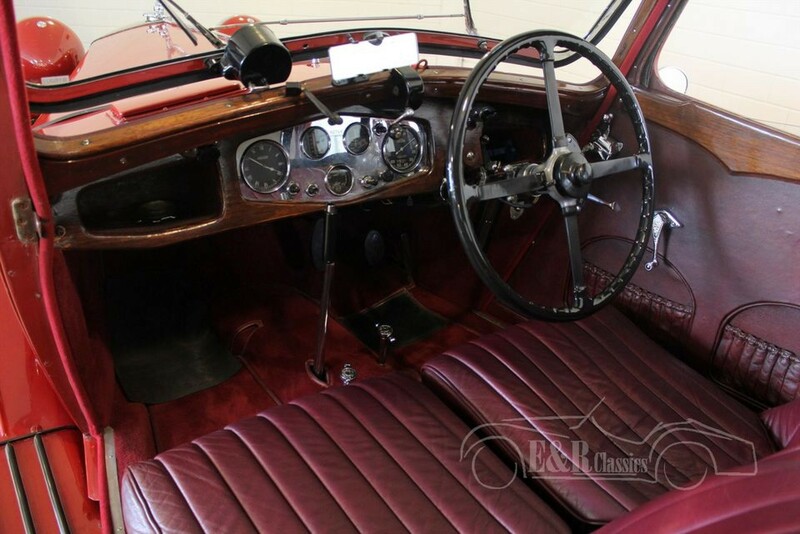 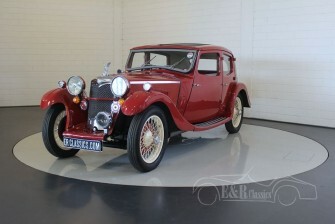 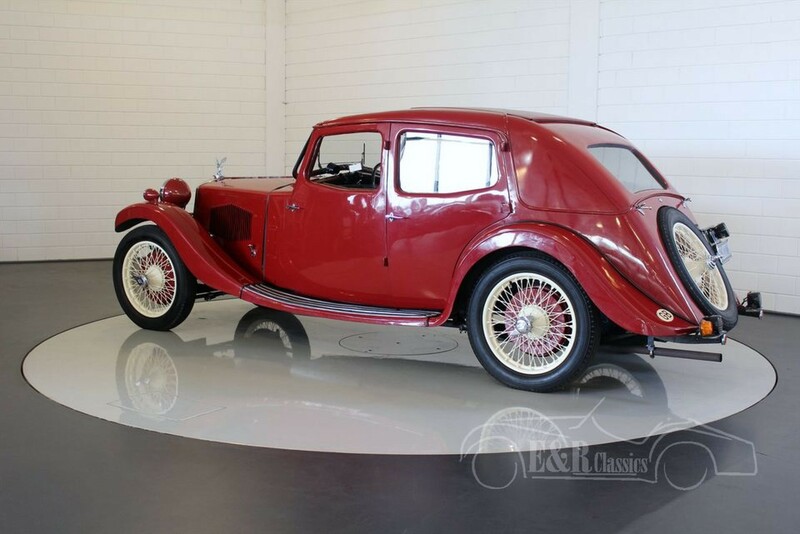 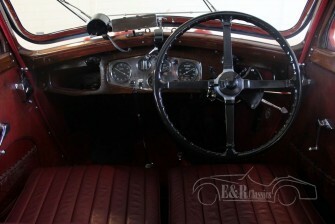 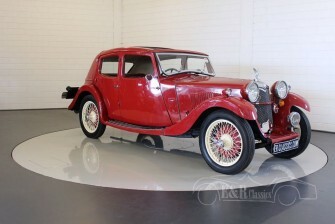 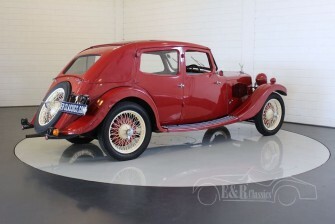 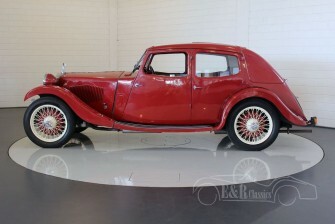 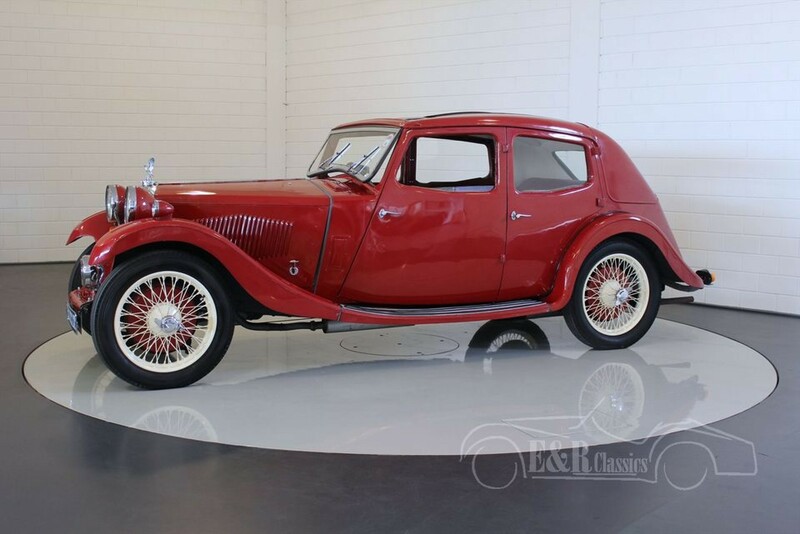 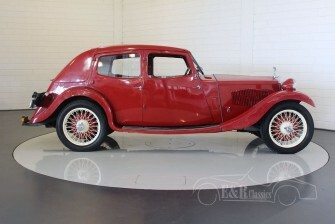 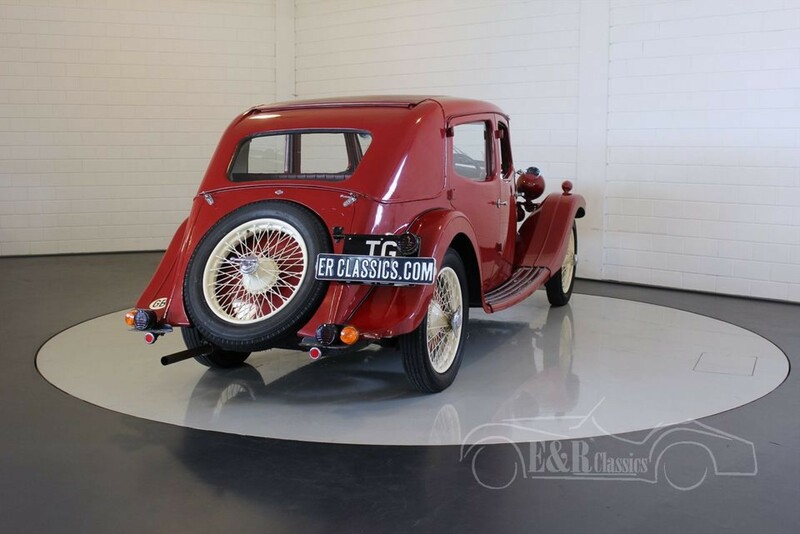 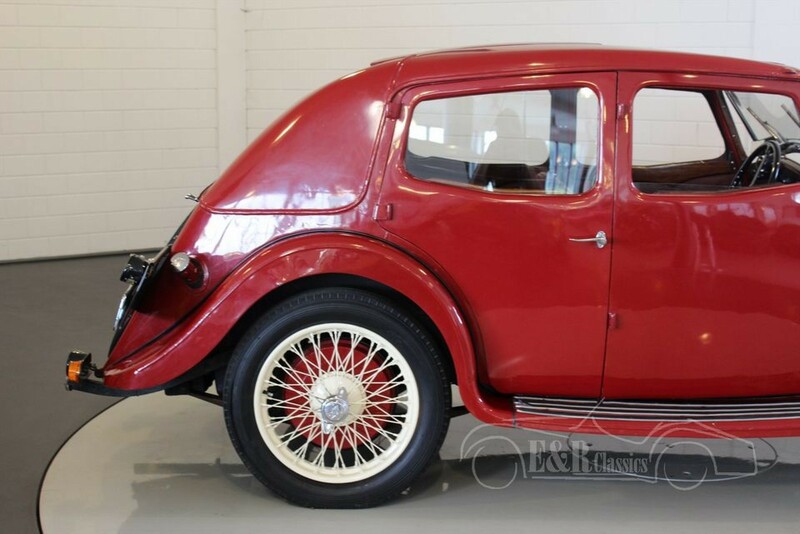 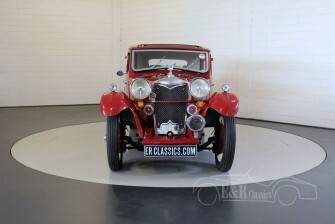 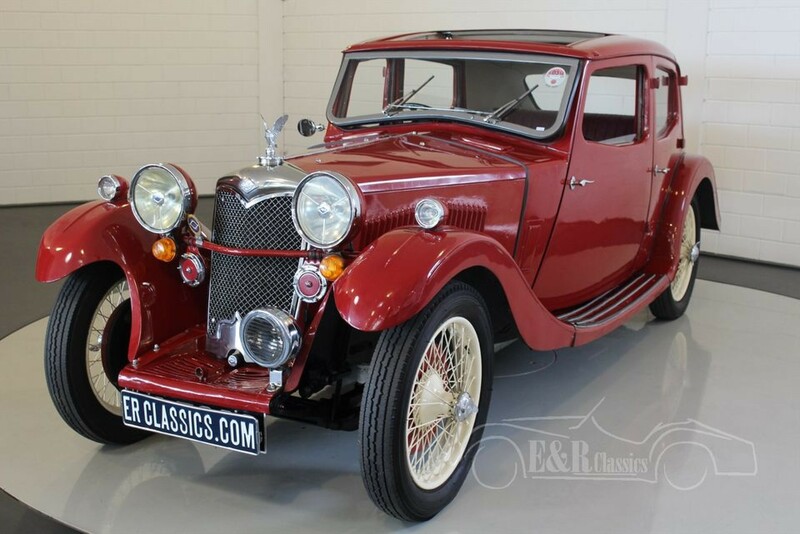 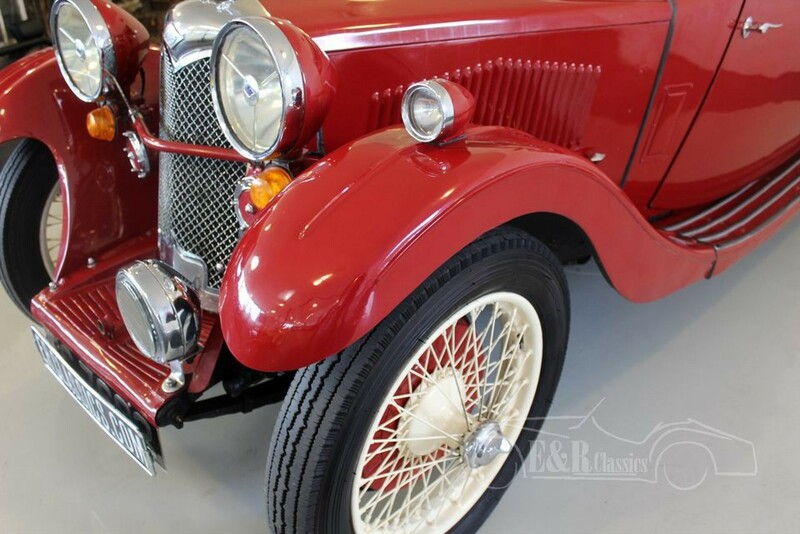 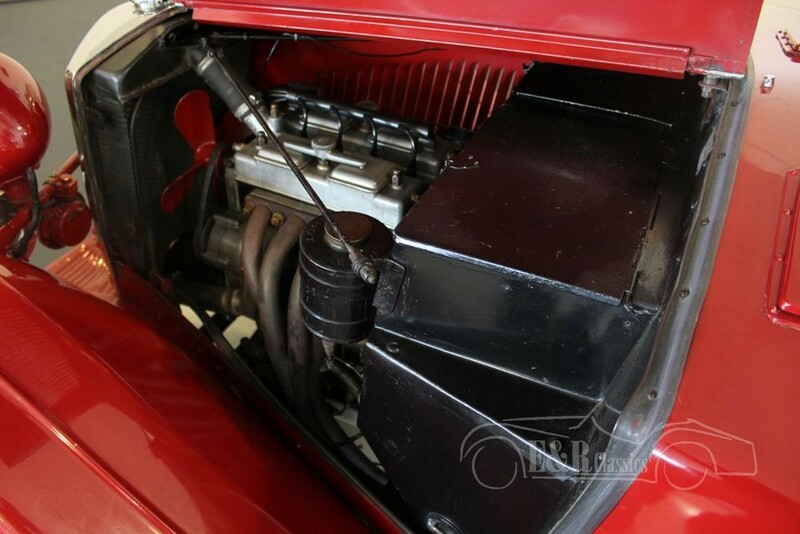 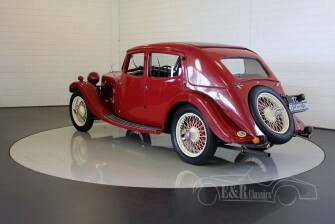 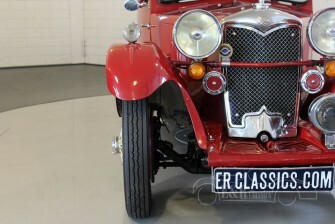 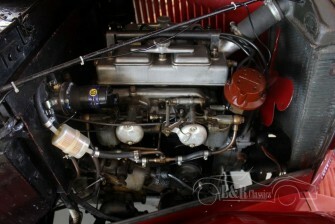 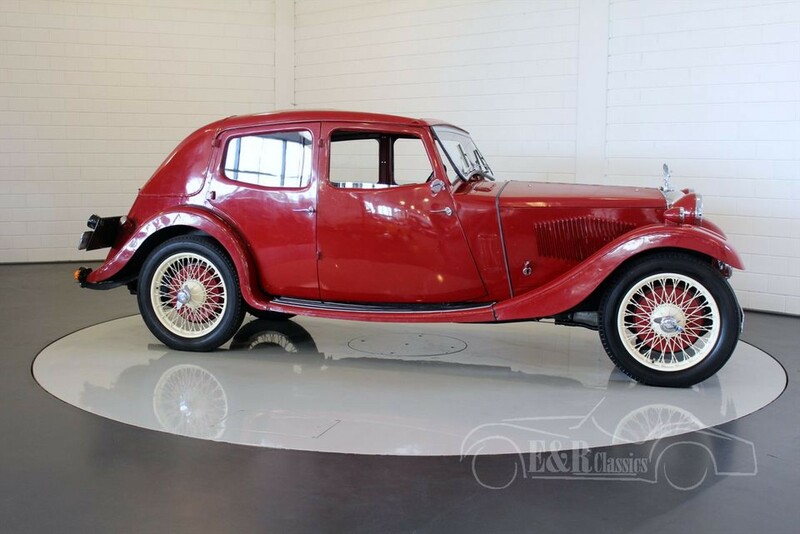 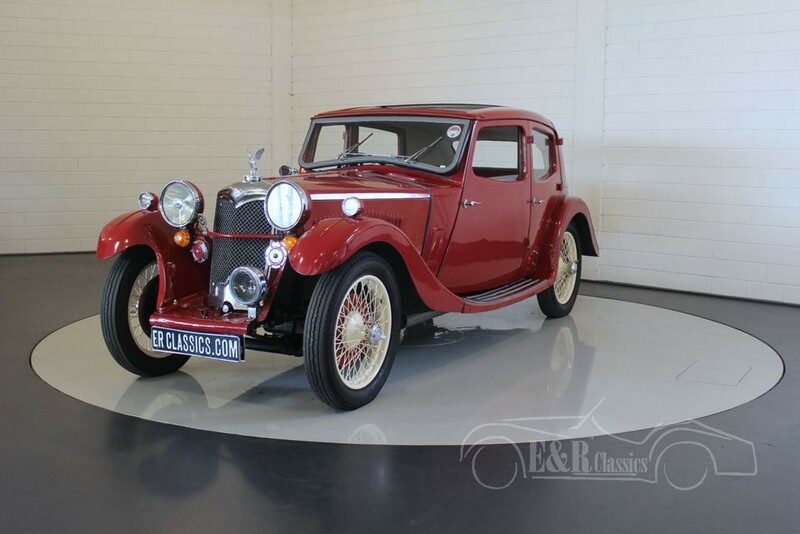 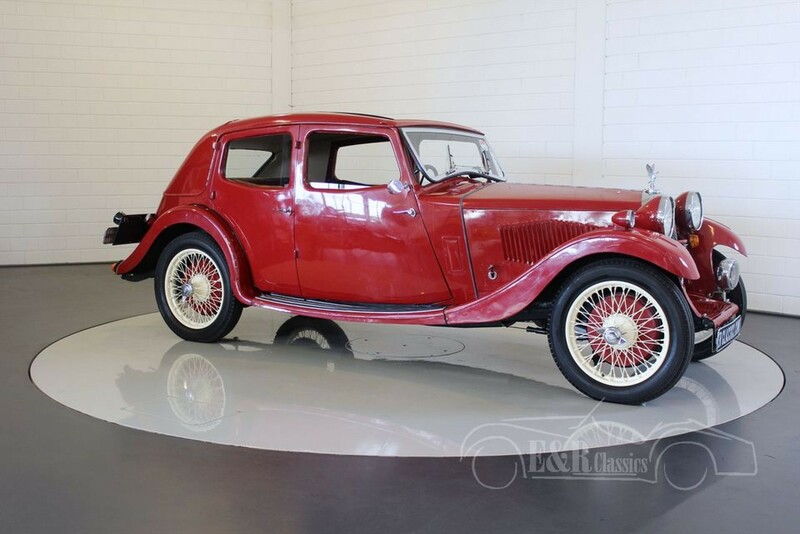 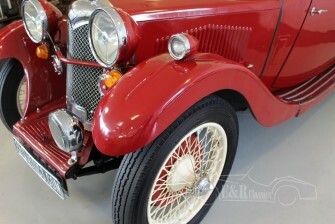 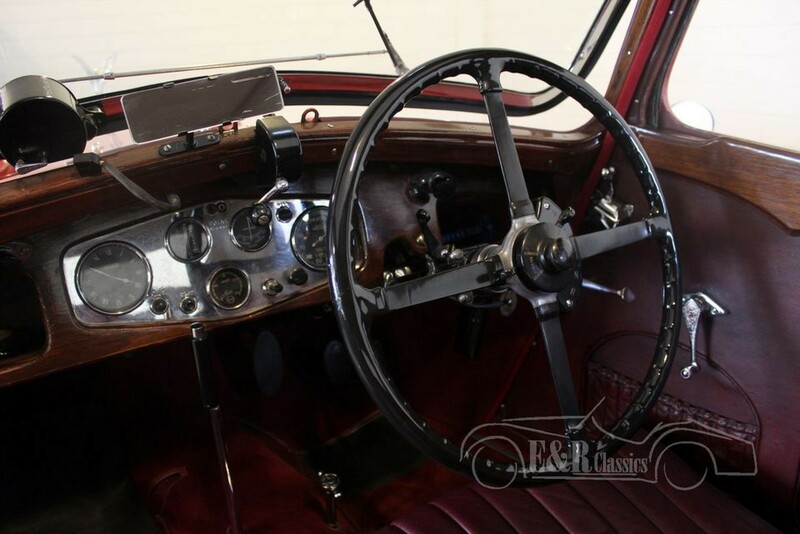 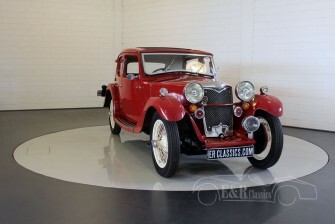 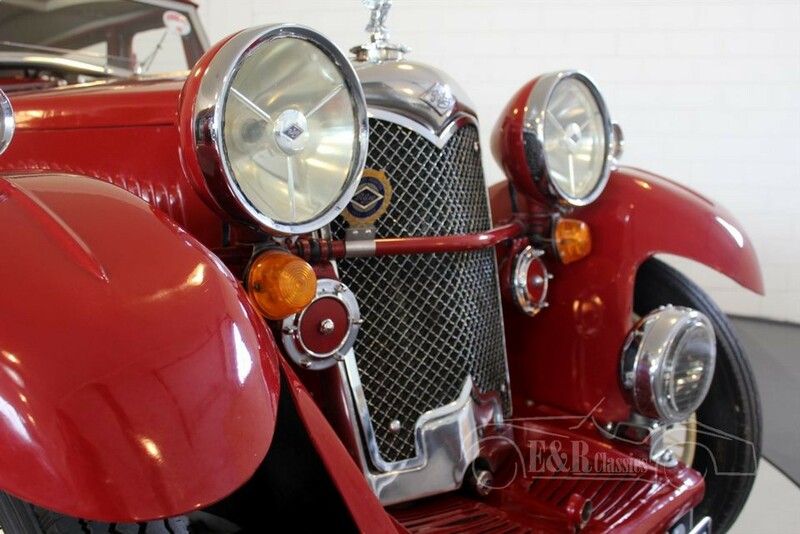 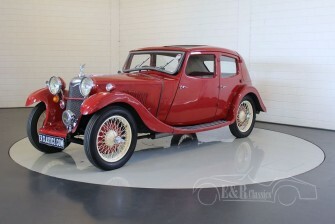 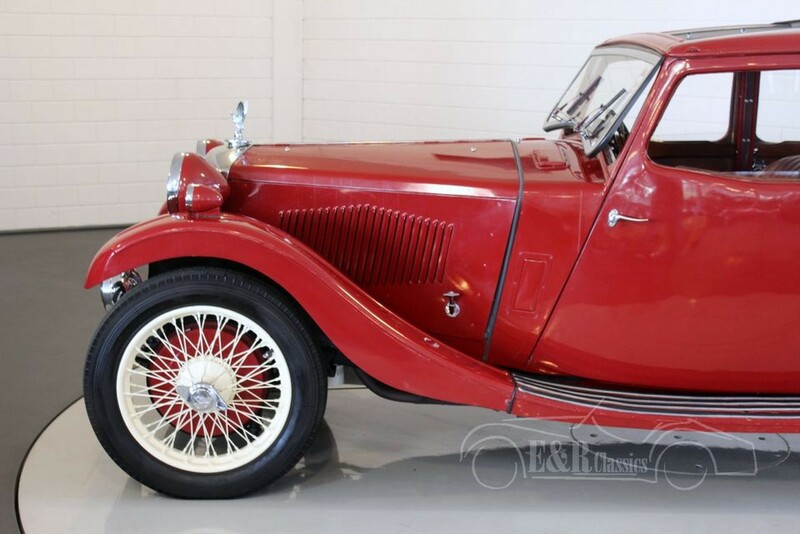 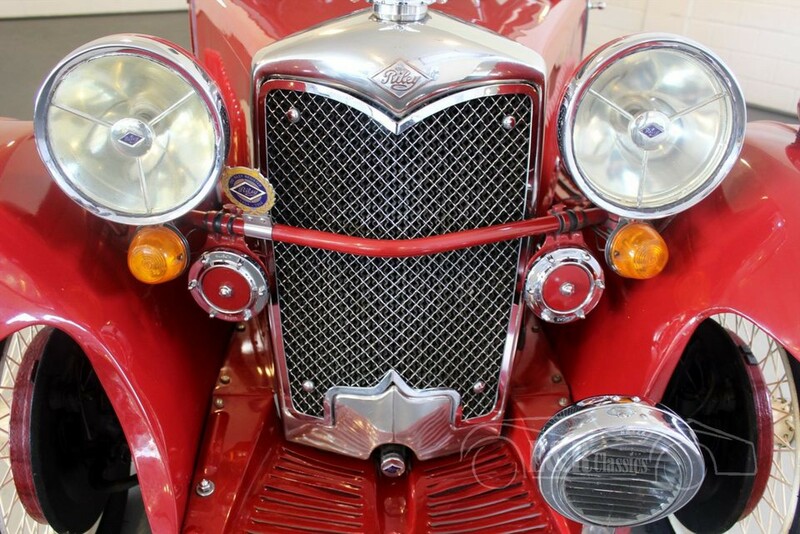 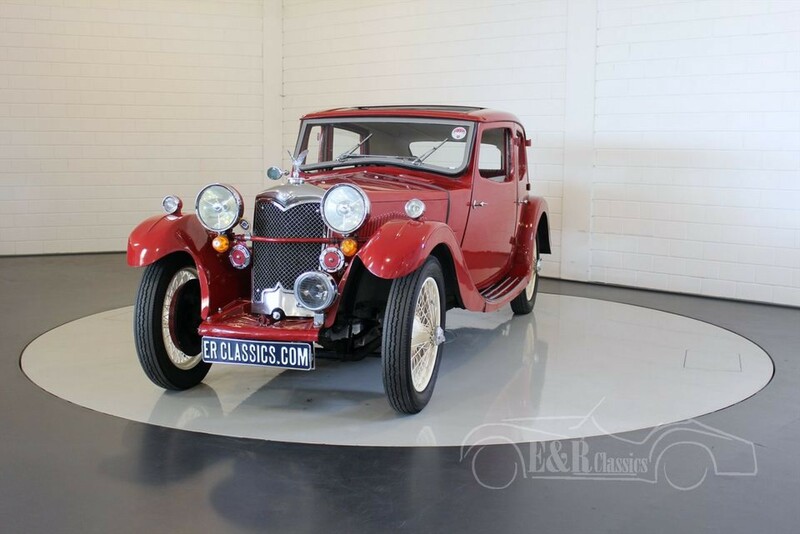 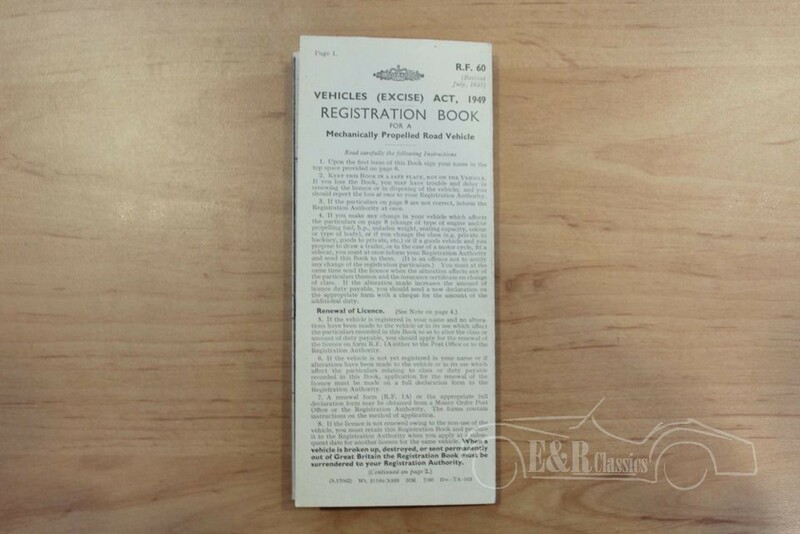 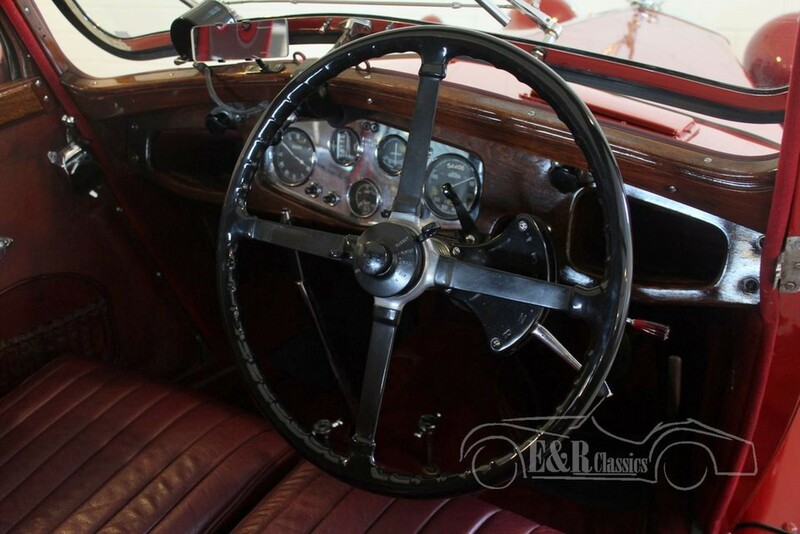 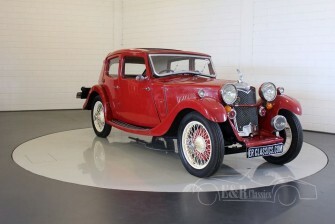 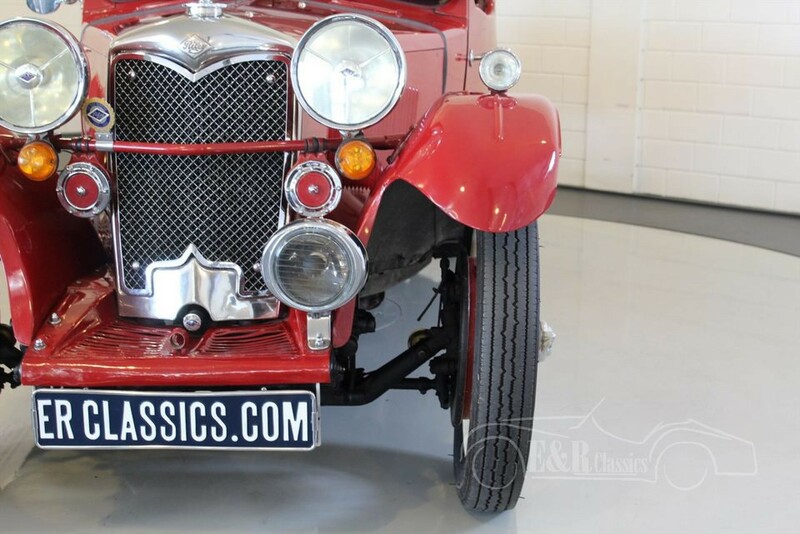 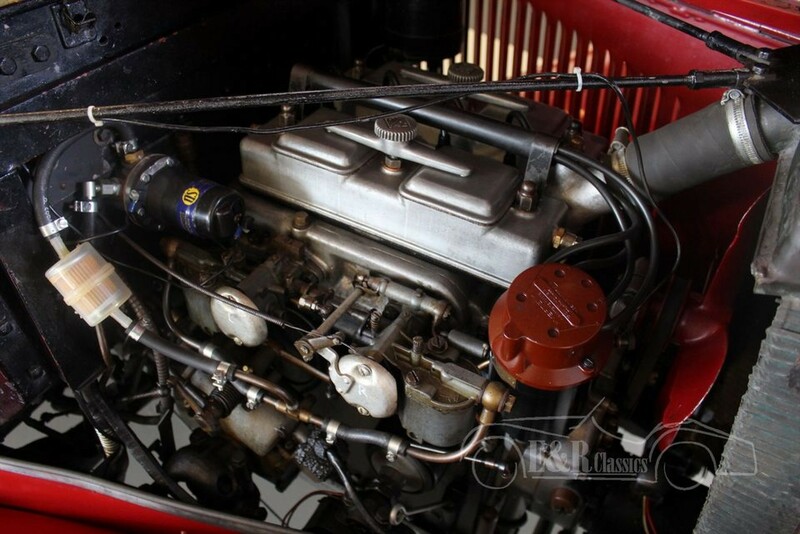 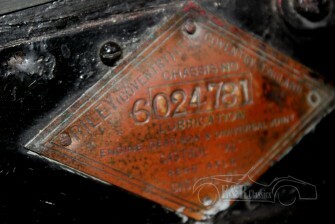 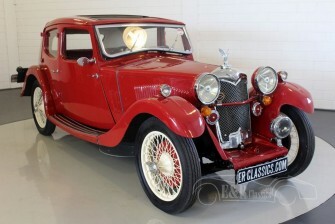 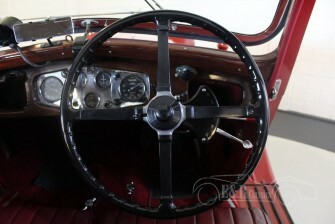 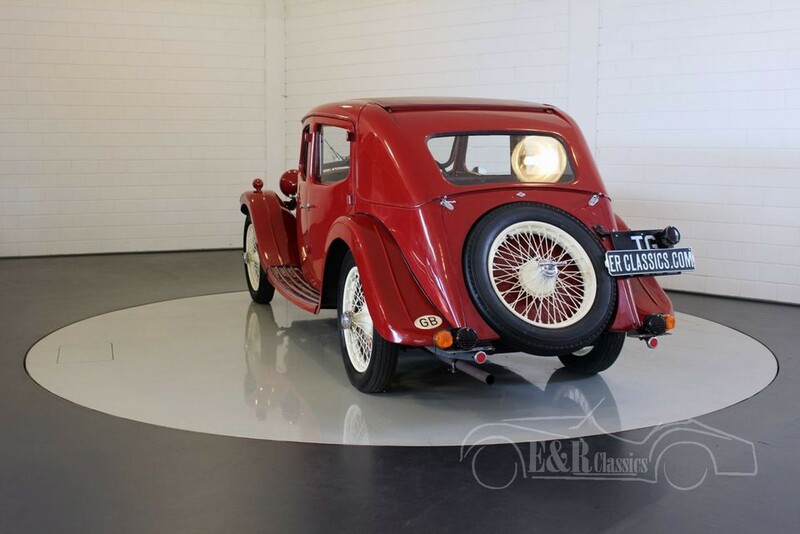 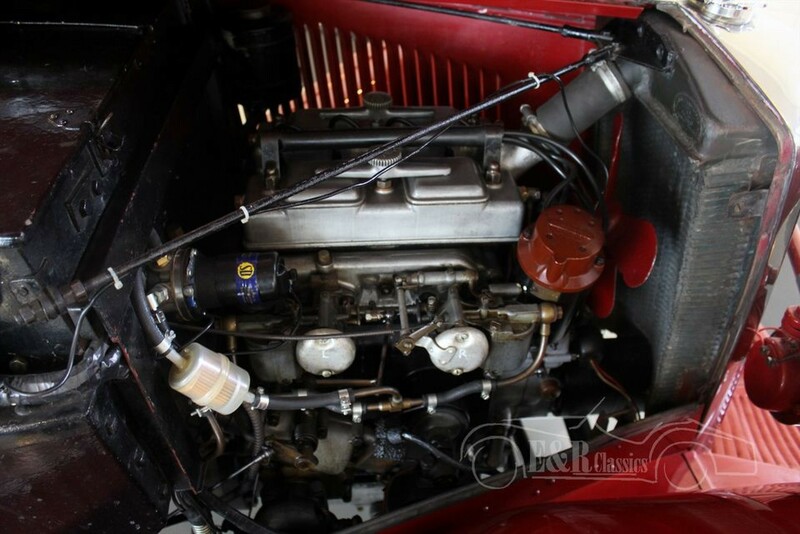 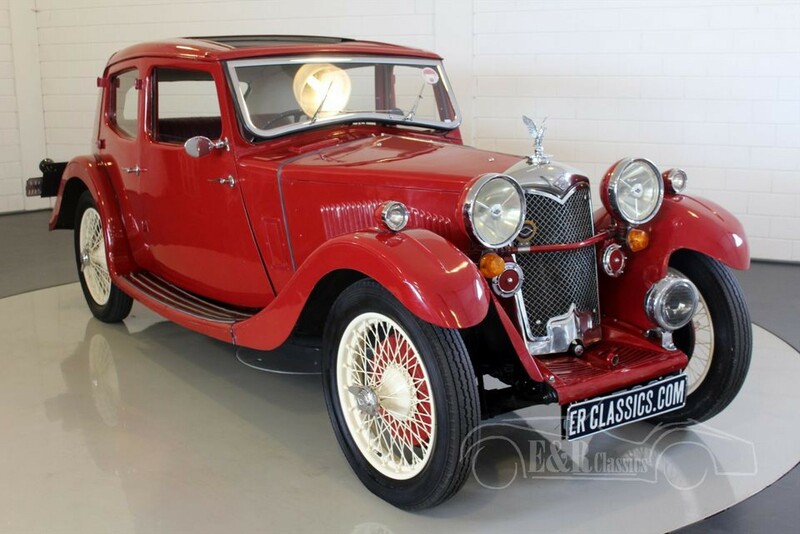 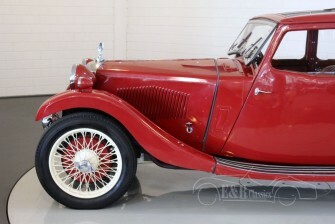 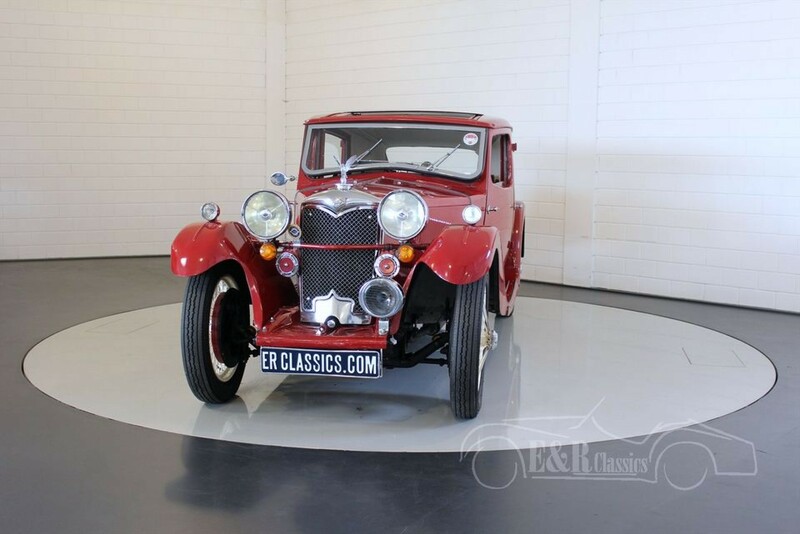 This is a 1934 Riley Kestrel in the Saloonversion. 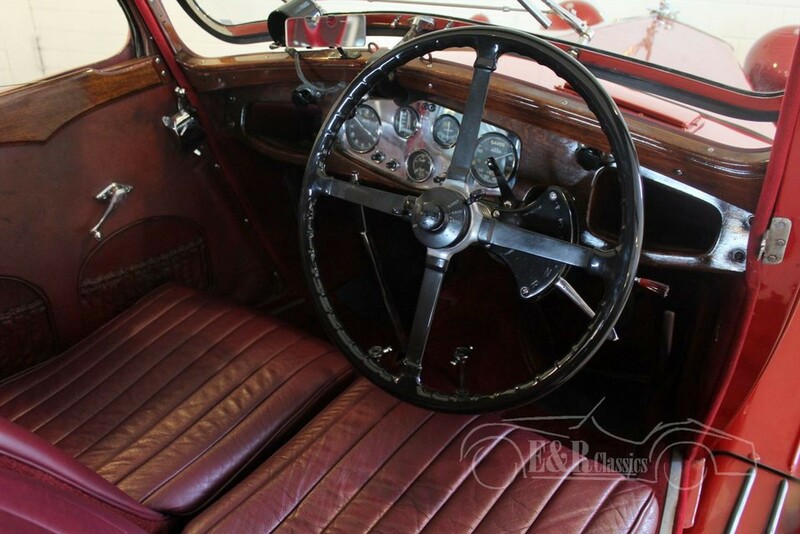 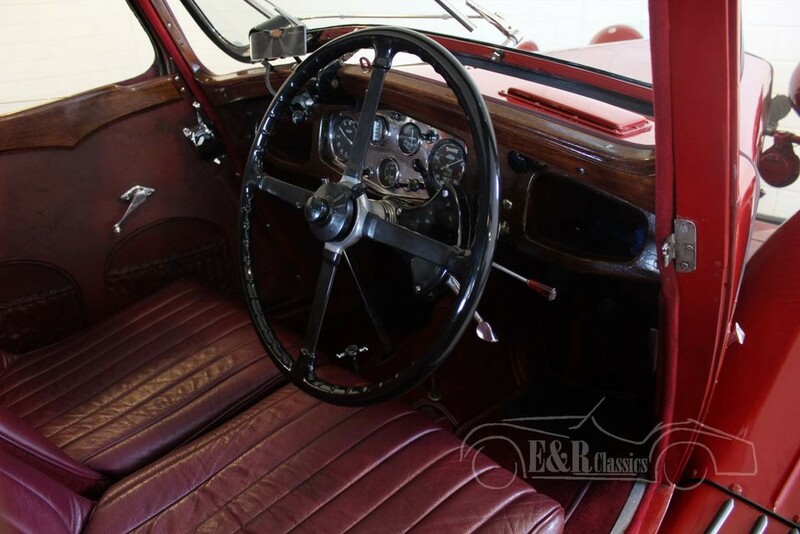 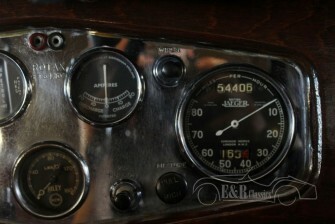 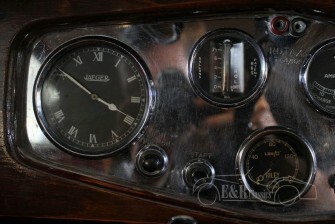 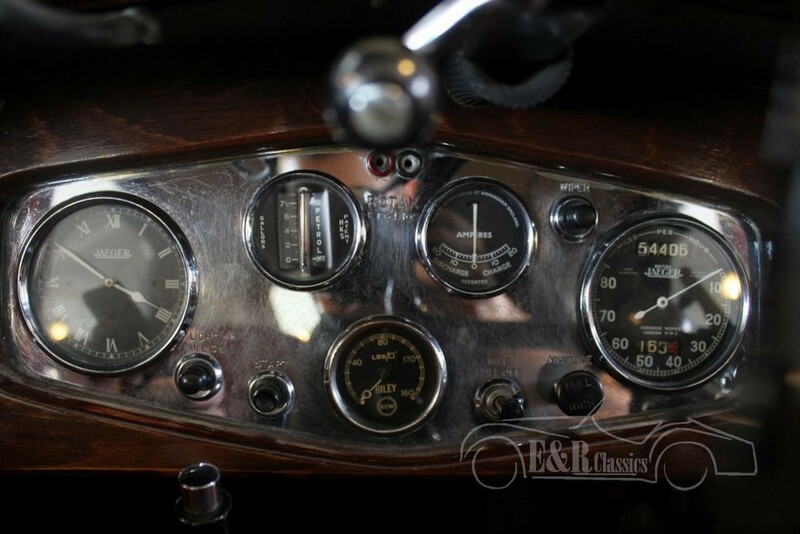 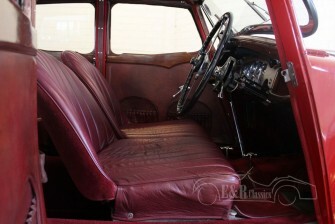 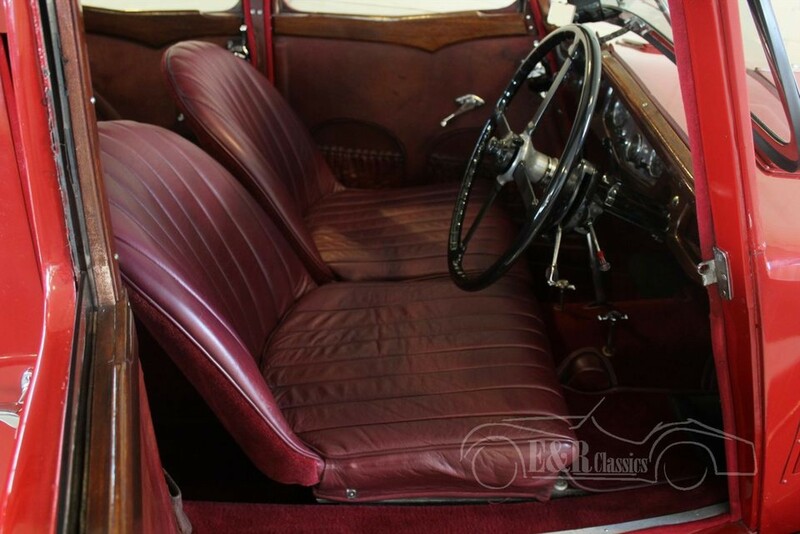 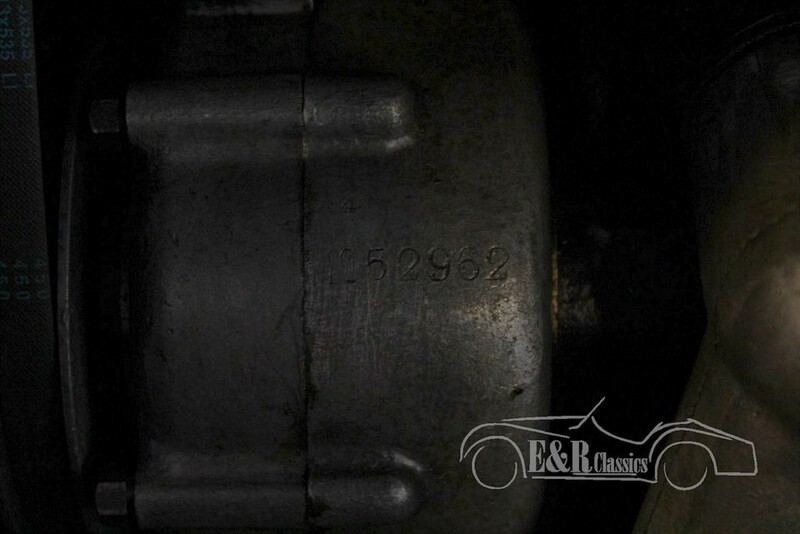 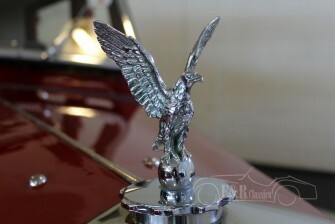 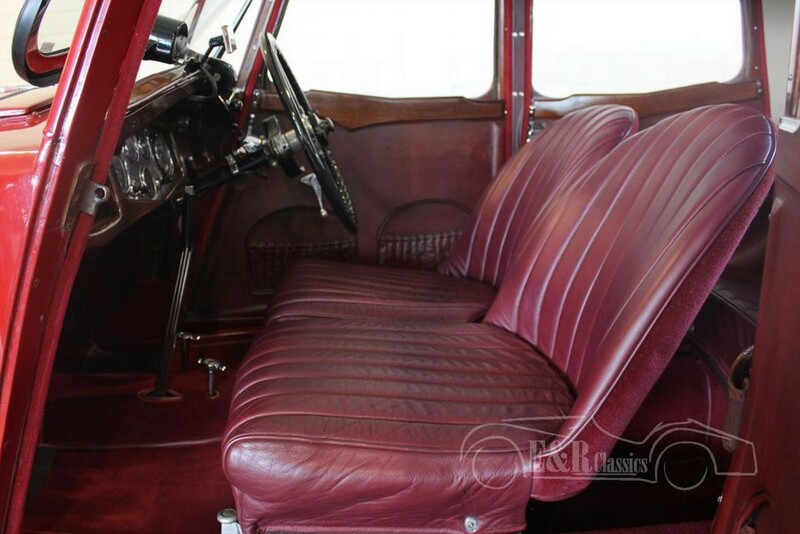 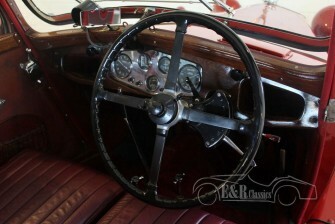 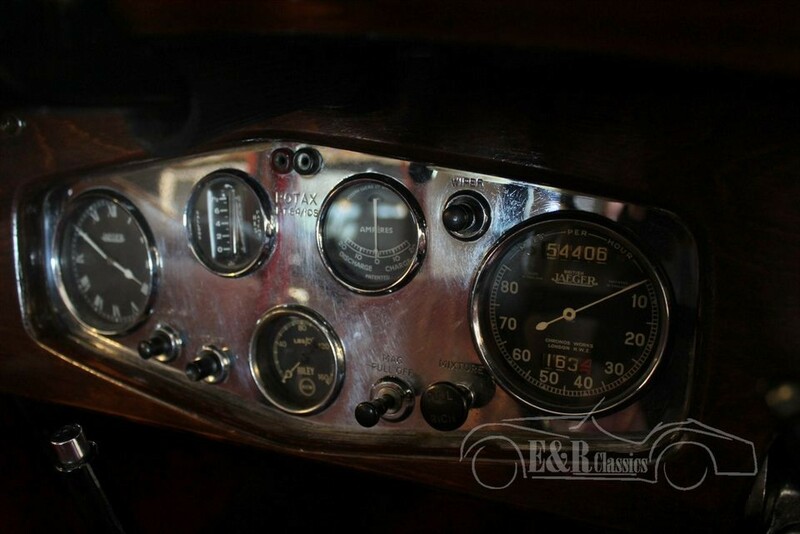 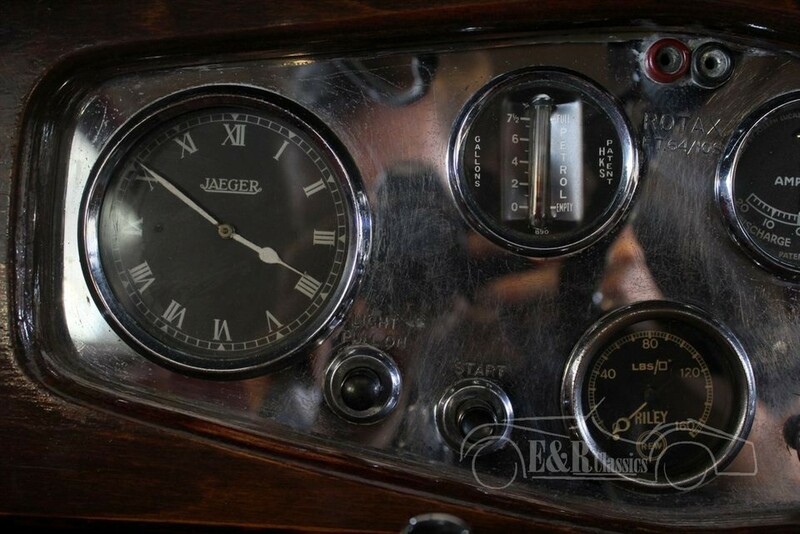 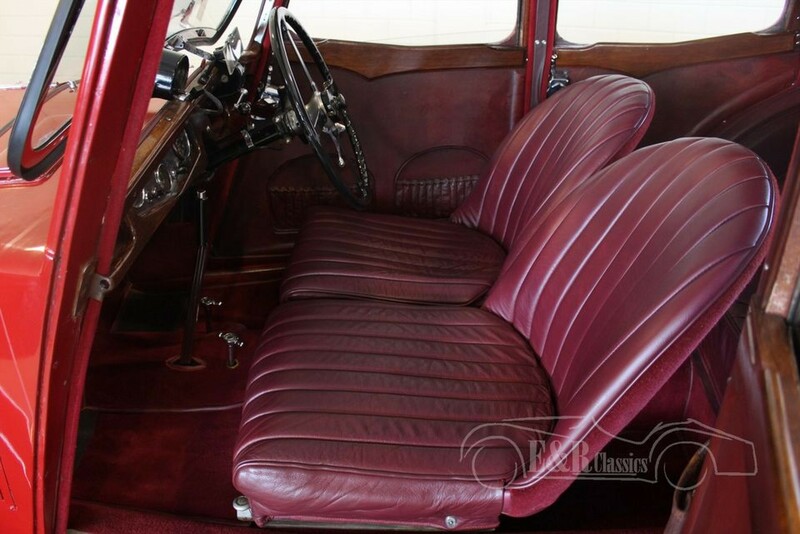 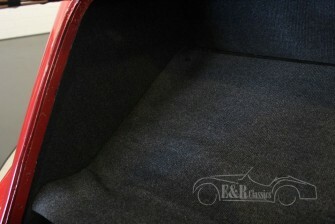 The car is in a very beautiful original condition with nice patina. 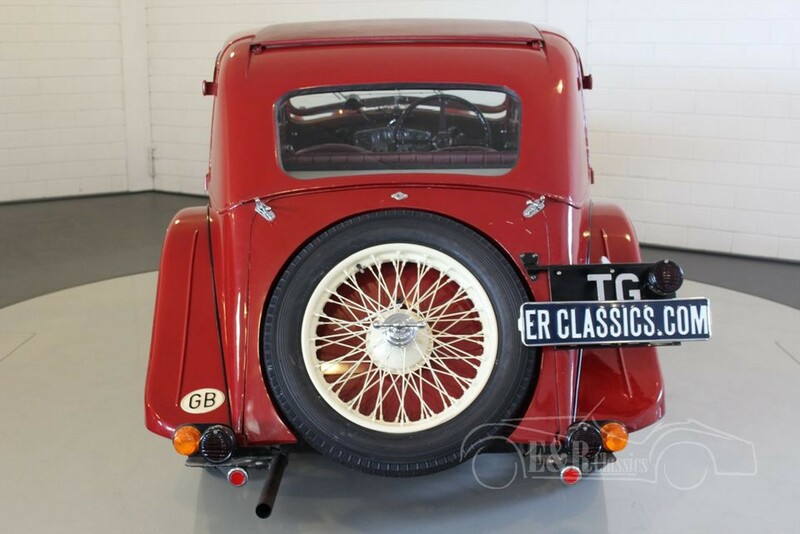 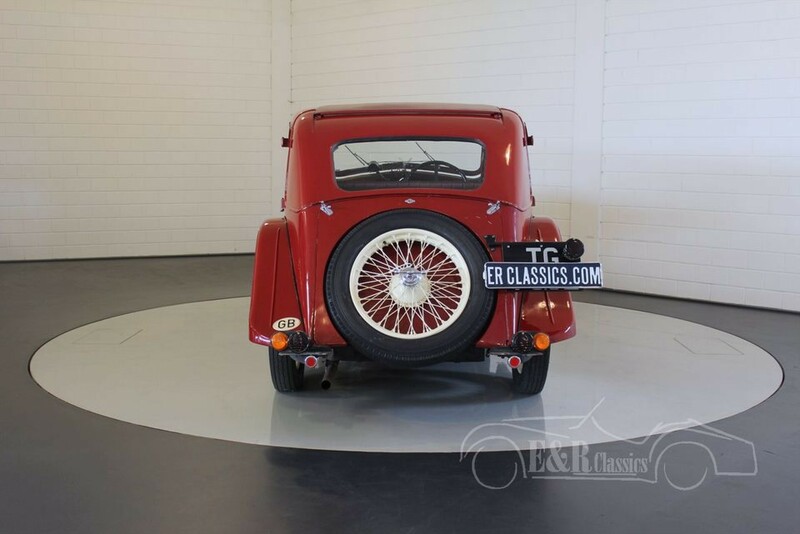 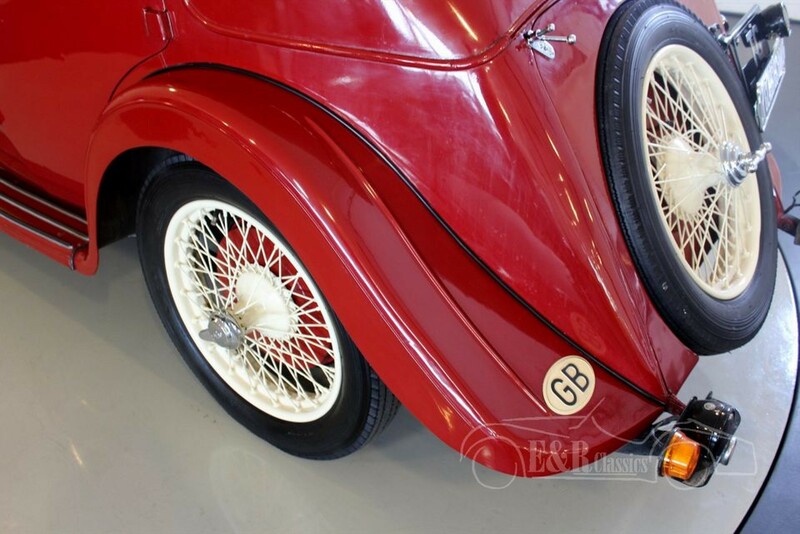 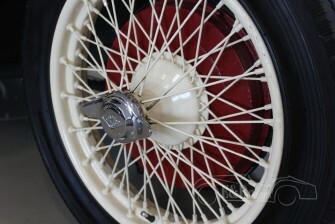 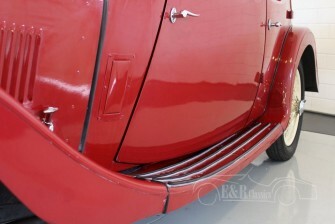 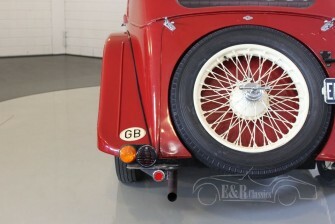 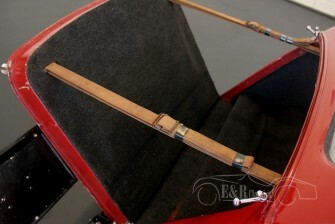 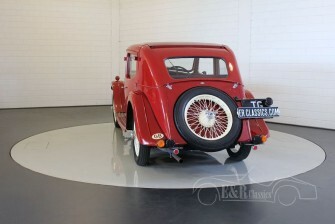 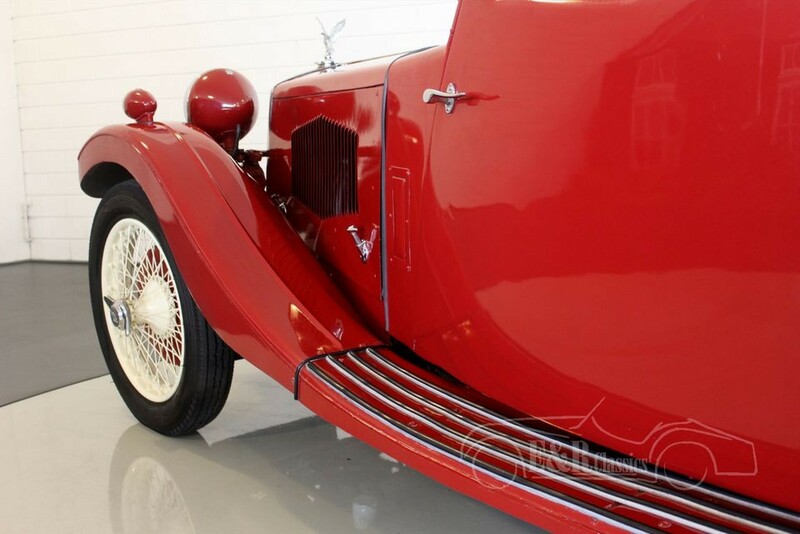 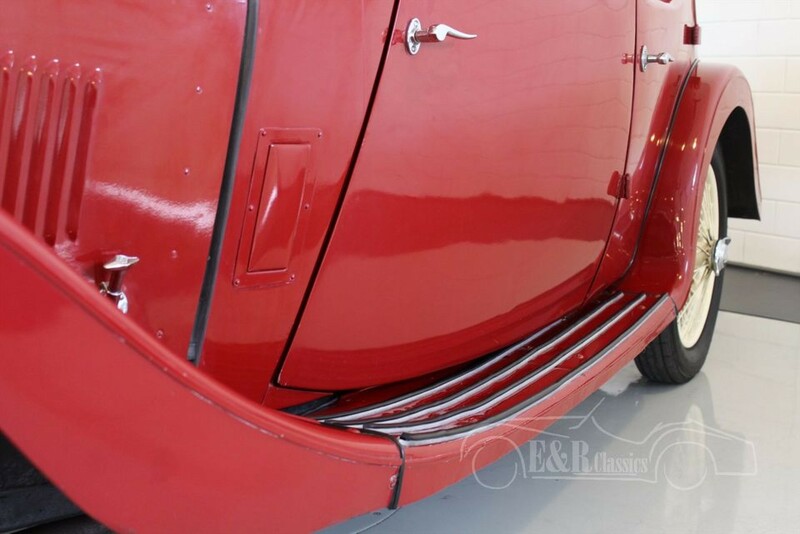 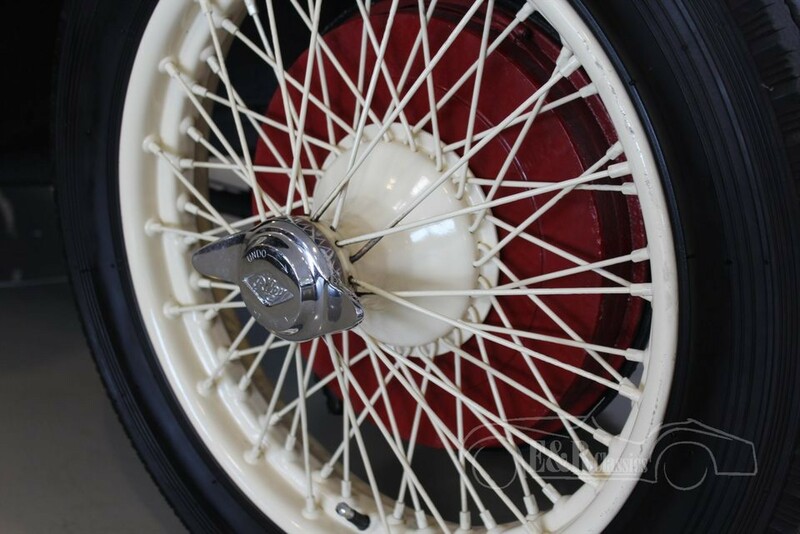 The red paint is a great combination with the wire wheels in colour beige. 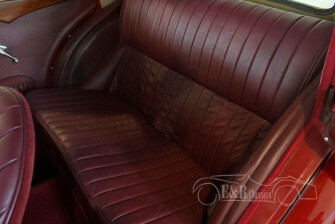 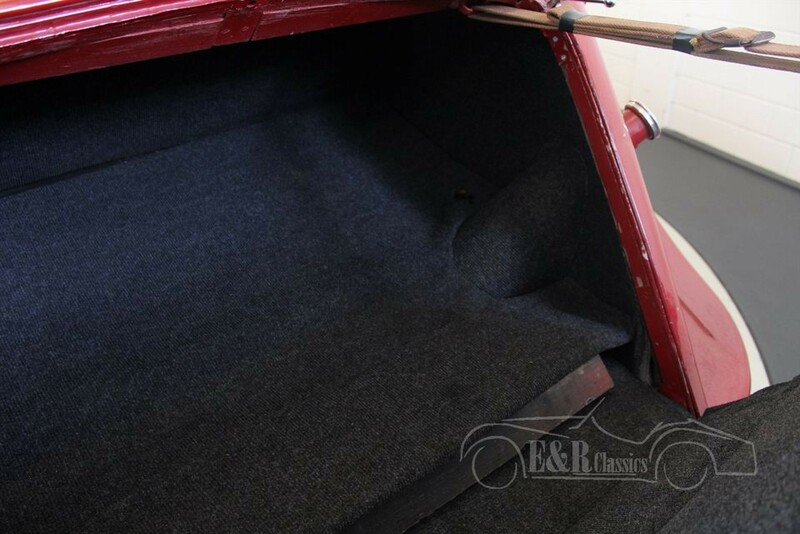 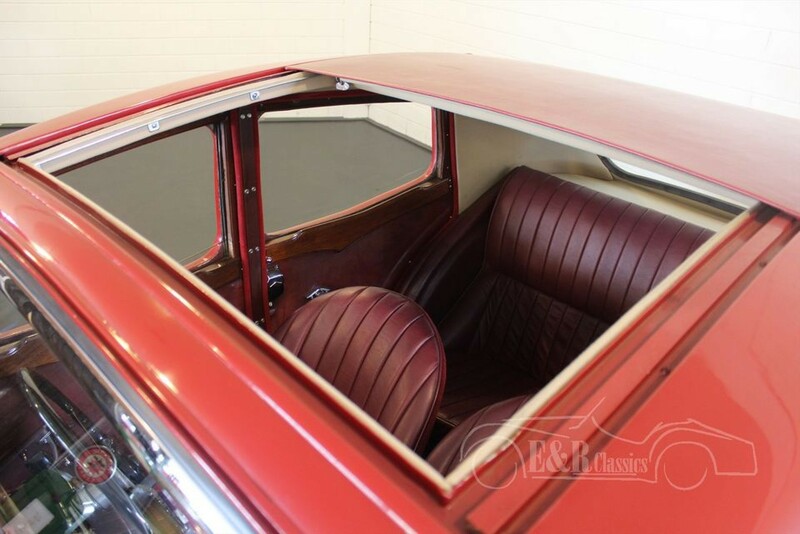 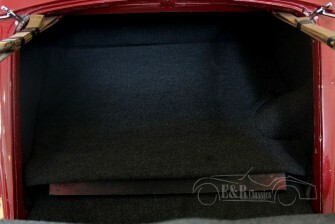 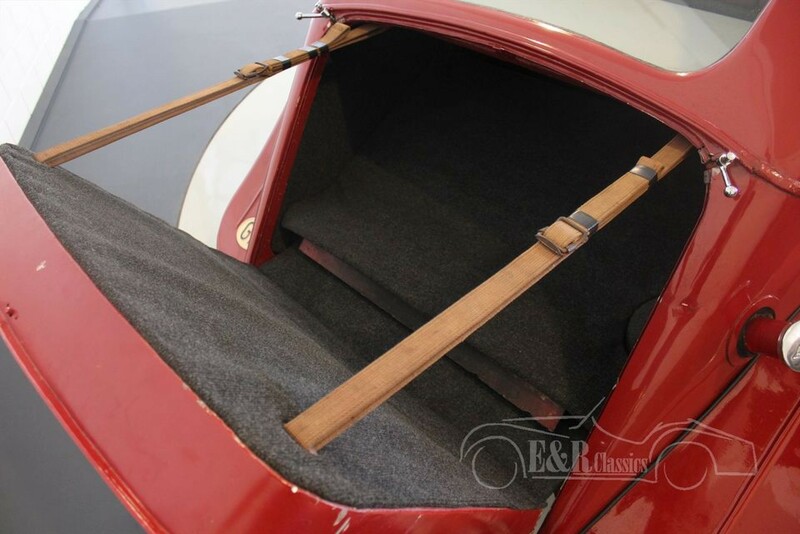 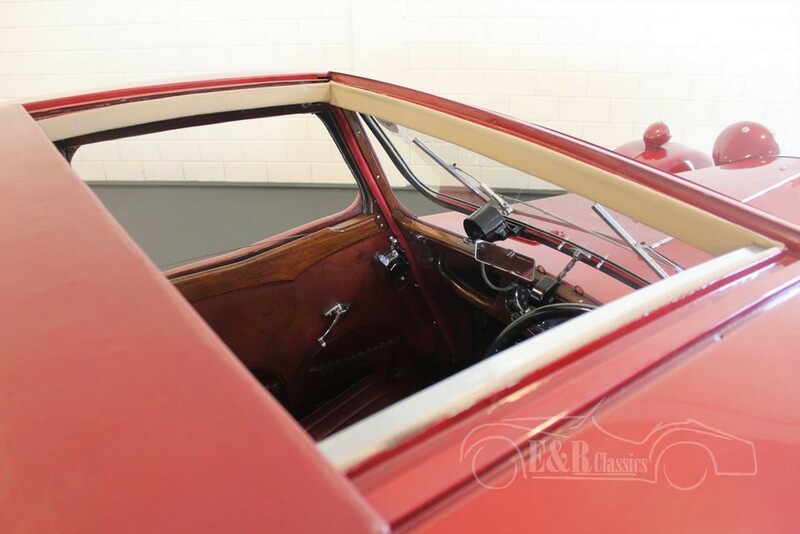 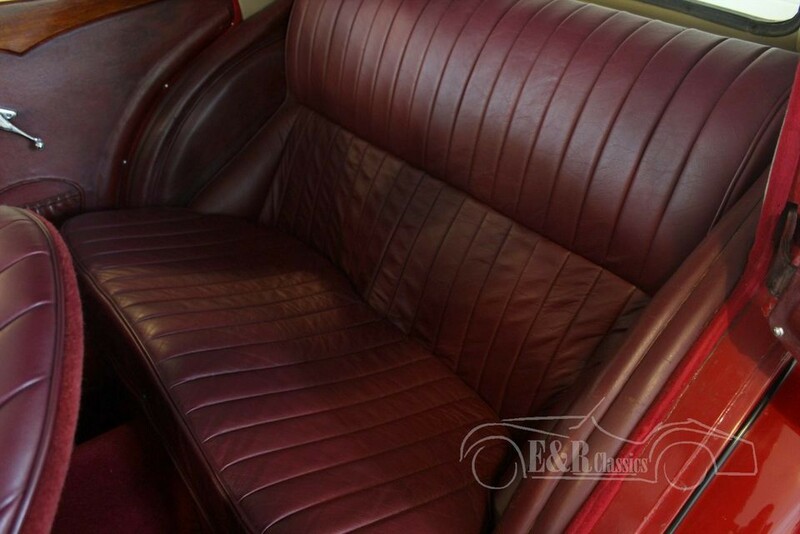 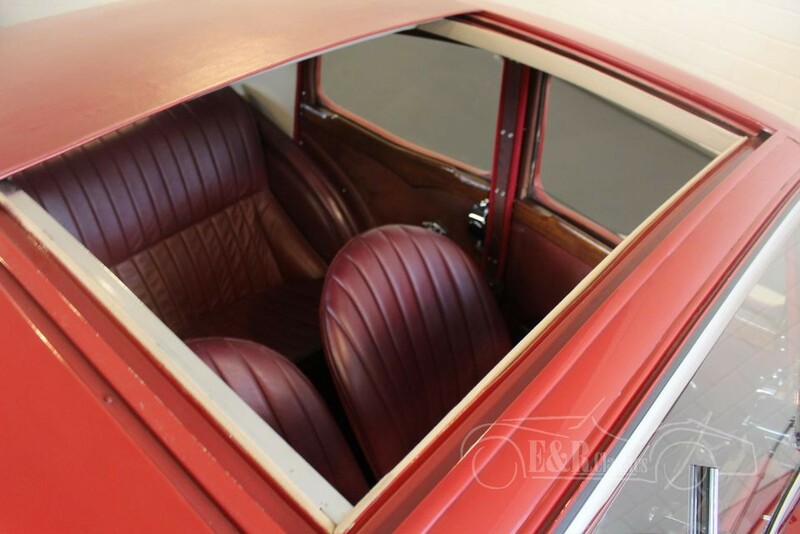 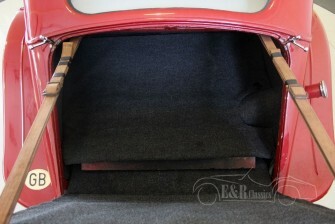 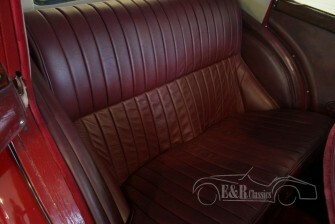 The car has leather upholstery and the interior is finished with beautiful wood parts and ofcourse the fabulous big sunroof. 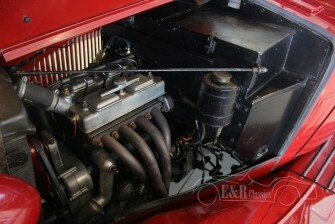 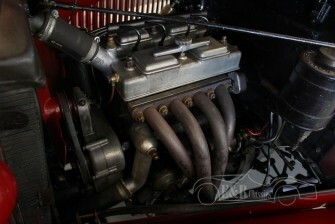 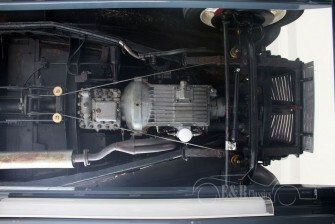 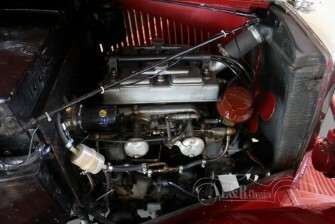 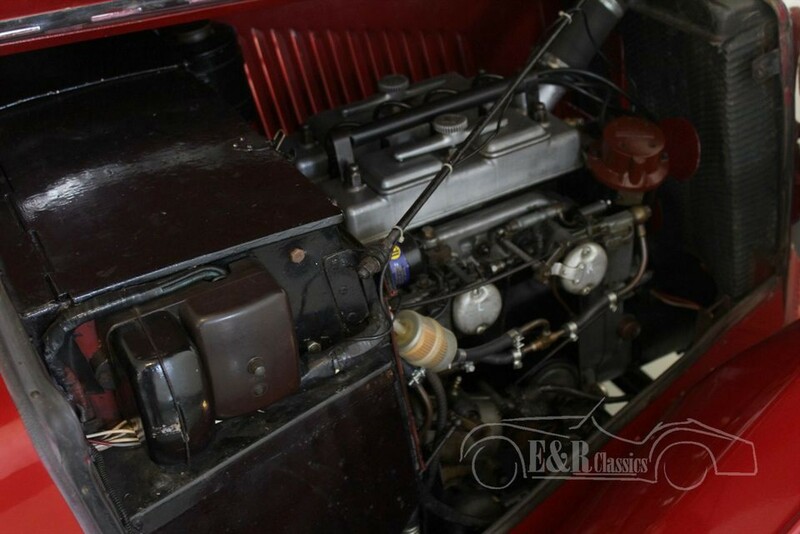 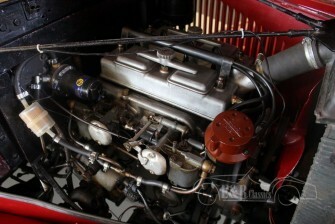 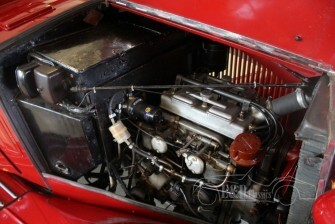 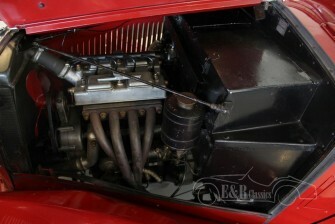 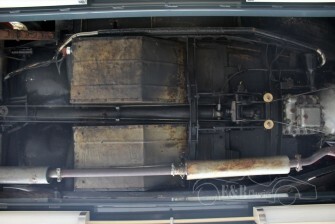 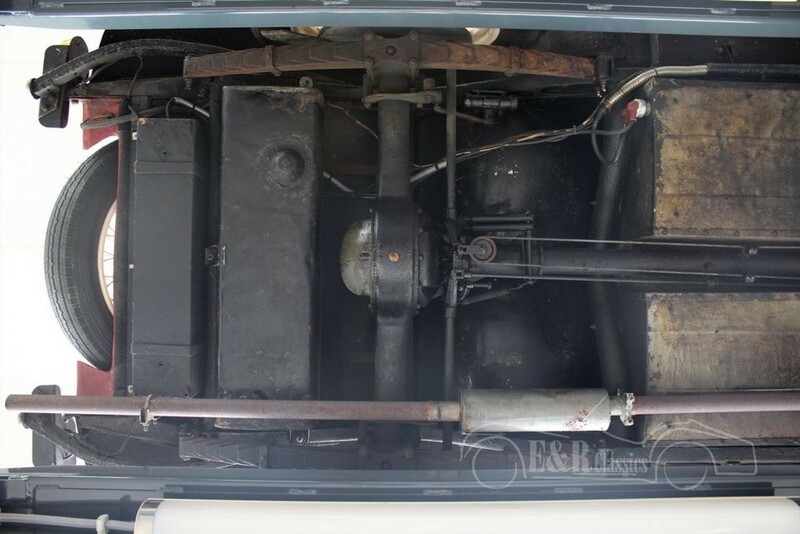 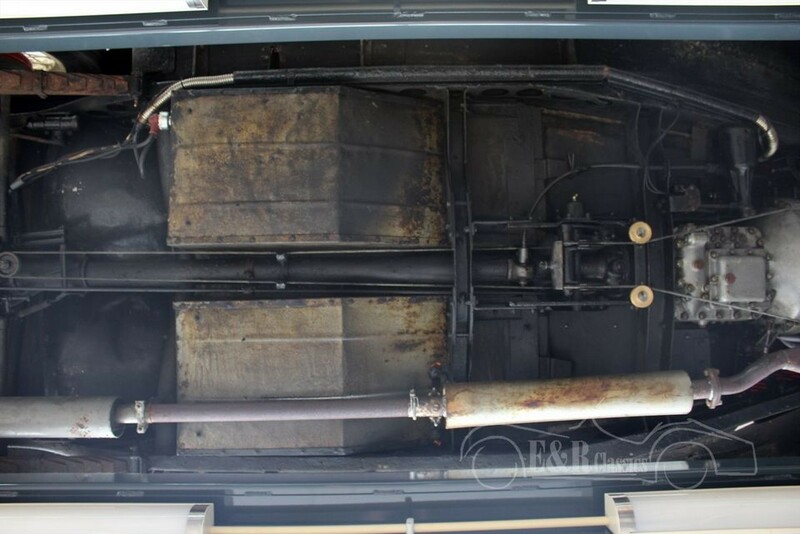 In the front there is the famous ‘Nine Type engine’, a 4 cyl engine with double carburators. This is a very rare Saloon version. 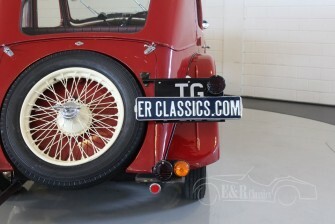 Car has English title and mot/tuv. 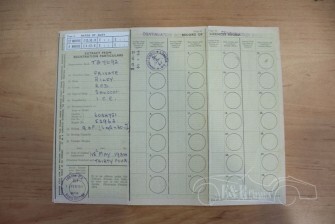 Easy to register in every EU country. 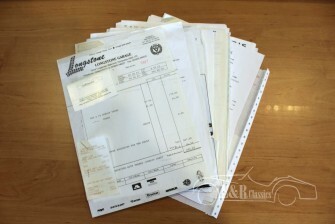 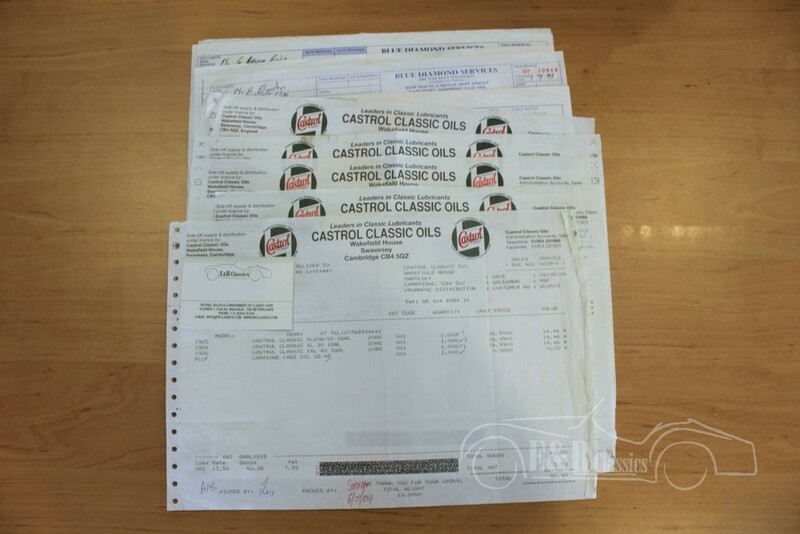 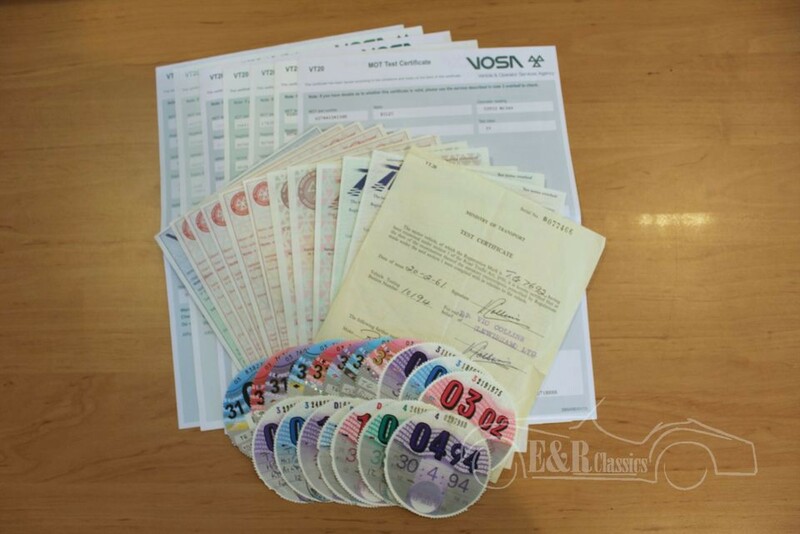 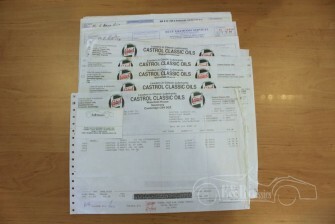 You do not need to pay any import taxes. We can help with transport.